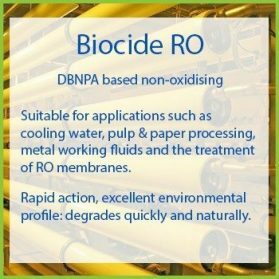 Biocide ITA is a powerful microbiocide which will control a wide range of troublesome microbes in both open and closed water systems. Without effective microbiological control systems can be choked with microbial slimes which interfere with flow and heat transfer and cause localised microbially induced corrosion (MIC). 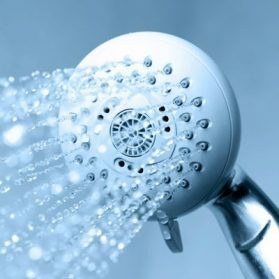 Open cooling systems can also become a breeding ground for harmful bacteria like legionella which cause the potentially fatal Legionnaires’ Disease. 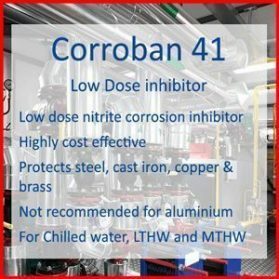 In closed systems bacteria can destroy corrosion inhibitors, cause pseudomonas fouling and generate corrosive hydrogen sulphide resulting in a characteristic bad egg odour. 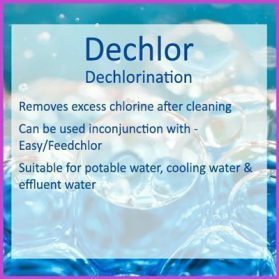 In order to control potentially problematic microbial contamination it is recommended for chilled water and LTHW applications that the system is dosed initially with Biocide ITA at the rate of 200 – 500ml / 1000 litres of system volume and that is repeated once every 3 months. The microbial activity (TVC) in the system can be monitored using microbial dipslides. Good control is indicated by a general bacteria level (TVC) of no more than 103 cfu/ml. 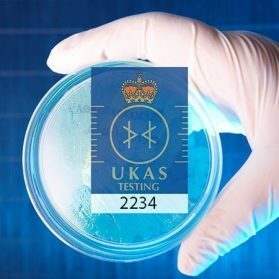 If pseudomonas or other specific testing is required then contact our laboratory and we will be pleased to help you. 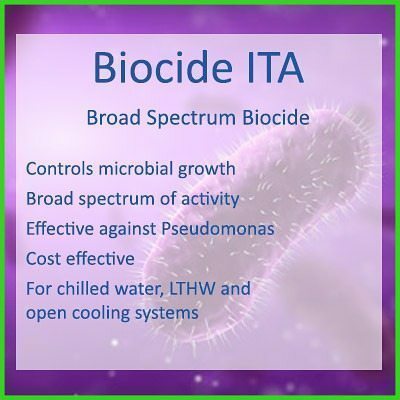 In order to prevent the development of resistant microbial strains Biocide ITA should normally be used in conjunction with another biocide such as Biocide BQ and the two biocides should be dosed alternately. A typical dosing regime would be to dose the system with 200ml of Biocide ITA / 1000 litres of system volume as a shot dose and then dose the system with a shot dose of the second biocide at the next scheduled dosage before reverting to Biocide ITA for the third dosage etc. 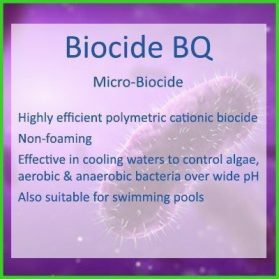 The required frequency of biocide dosage will depend on the retention time of the cooling system and tendency of the system to become contaminated with nutrients that will encourage microbial growth. 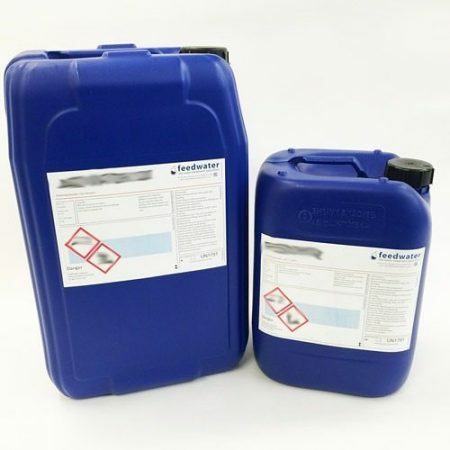 A typical biocide dosing frequency for systems with a long retention time would be once / week but for systems which change their water more frequently and have a short retention time then the frequency of dosages will need to be increased (typically twice per week). 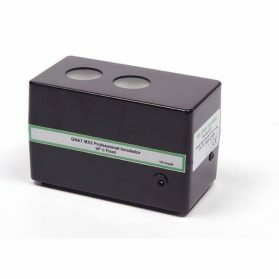 The general microbial activity (TVC) in the system can be monitored using microbial dipslides. Good control is indicated by a general bacteria level (TVC) of less than 104 cfu/ml. 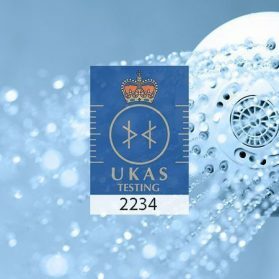 It is recommended that a dipslide test is taken weekly and the system is tested specifically for legionella bacteria at least once per quarter (contact our laboratory).